Mating a standard crosshair reticle with a fiber optic and tritium illuminated with center dot, Trijicon's AccuPoint TR20-1 rifle scope represents the newest innovation in rifle scope design and maufacture. Mating a standard crosshair reticle with a fiber optic and tritium illuminated with center dot, Trijicon&apos;s AccuPoint TR20-1 rifle scope represents the newest innovation in rifle scope design and maufacture. 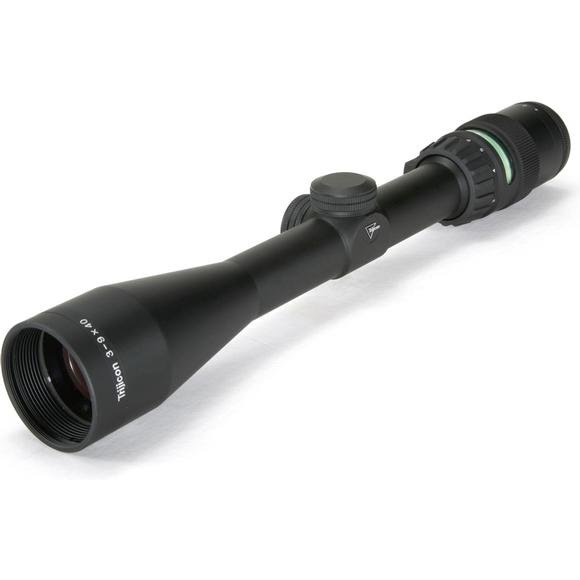 Fully mulit-coated high end glass, a quick focus eyepiece with long eye relief and construction that shirks off the effects of the harshest conditions found on earth complete this target acquiring technical masterpiece. Standard Crosshair Reticle with Fiber Optic and Tritium Illuminated Center Dot: Non-battery powered.